How do I make pâte de verre? Pâte de verre is the method used in our video lesson: Day of the Dead Skulls. 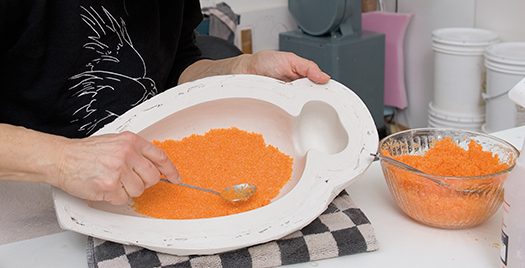 Our video shows you a common way to make pate de verre and a fun project to go along with it. We highly recommend taking a class to learn about pate de verre, and the tools and processes behind this particular casting method. Consider Bullseye's classes and those at local teaching studios to find a course that's convenient for you.